On Saturday afternoon, the state held the first of what will be many hearings on the MA State Police joining Secure Communities, which is a controversial program that checks the fingerprints of those who are arrested and booked against immigration records. I was at the library (though I just peeked into the meeting room, which was packed) and incorrectly assumed that someone from the Telegram would be covering the meeting. The T&G did not, but lucky for us, the Boston Globe wrote a long-ish article describing the meeting. Julia Spitz of the MetroWest Daily News has been devoting column space for the past couple of months to a woman named Laura. Laura was a chronically homeless woman who lived in MetroWest (sometimes Shrewsbury, sometimes Framingham, sometimes Marlborough). There’s rarely a day I haven’t thought of Laura in the past month, for one reason or another, even after she stopped calling several times a day to beg me to do more. I understand why friends, family and institutions no longer want to do the daily dance. I hope for some change to come, perhaps for her to see things a little differently and be willing to consider some of the possibilities that seem unpalatable to her. I hope if that day comes, I’ll be able to share the story with you. Whether you decide to read it or not is certainly up to you. In yesterday’s column, Spitz wrote about how Laura is going to be treated at a Worcester-area nursing home and rehab center. 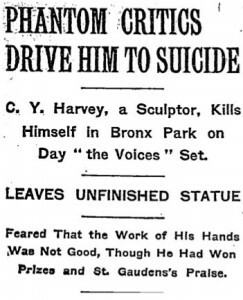 I recommend reading the three columns. They’re a good reminder of the amazing work that some social-service agencies do, and an equally good reminder that homelessness is not only an inner-city issue. Any article about Worcester’s Turtle Boy statue that doesn’t get to the word “beastiality” till paragraph 14 loses a point for dishonesty, but other than that today’s T&G article about a boy and his reptile is highly recommended. For your reading and dining pleasure, here are reviews of Wormtown Brewery and Evo (by Sharon’s Shenanigans), Red Rock Grill & Bar (by The Doctors’ Rheum), and Bean Counter Bakery (by Gluten-Free Table). Hot on the heels of news that Ashburnham has offered to share a town manager with Ashby, and that a state trooper shot and killed a man in Ashby earlier this week, another story about Ashby (and North Worcester County in general) has hit the Globe. This time, it’s the story of a sleepy-little-town-that-still-has-a-pay-phone-in-the-general-store (and a rotary dial phone to boot!) that has become a destination for drug trafficking. I’m not sure why this is a surprise to anyone, and I would have liked to see some analysis about whether an increased regionalization of services in that area would help on the law enforcement end of things. 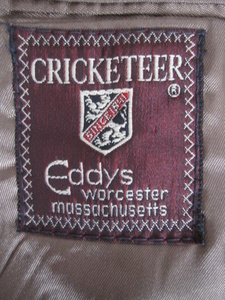 Giuseppe Timore, the online men’s thrifter out of Boston, is offering a jacket in his online store originally made for “Eddy’s of Worcester.” I’ll be on the lookout for this label in Worcester thrift shops. 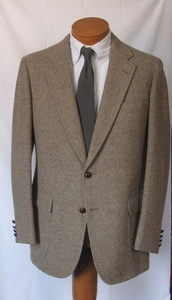 Brown herringbone tweed jacket by Cricketeer for Eddy’s of Worcester, Mass., size 40 long. Two button darted front, soft shoulders, brown braided leather buttons, four button cuff, center vent, patch pockets, half lined. 100% wool, made in USA. Note: one tiny hole has been repaired on right sleeve (see photos). Nobody from NEWP showed up. The advantages of learning an African language this New Year are just overwhelming! For its rich culture and friendliness of the people, coupled with other economic, educational and social reasons, you may want to consider joining this introductory Twi learning course. The class promises to be fun and eye-opening to know Africans better in their music, dance and other cultural practices. Expect to greet and be able to converse with friends and students in basic Twi during and after the course. Several teaching and learning resources would be employed to ensure proficiency and understanding of the course. Some of the topics to be covered include greetings, simple questions/requests and responses, counting, names of people and reasons behind and days of the week, and some cultural practices. 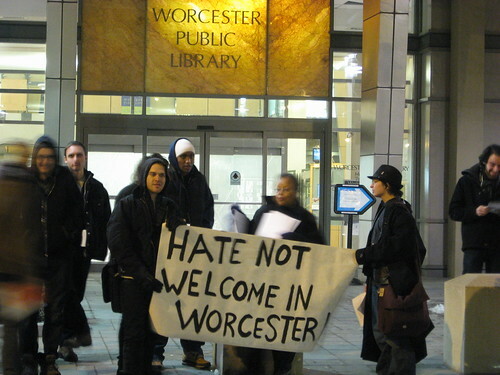 Twi is spoken by several thousands of immigrants in Worcester County and other parts of the Commonwealth. In other states and Canada, you would encounter Ghanaians and engage them in an exciting conversation to the surprise and envy of your friends and colleagues. In addition to English, Twi is spoken and understood by about sixty percent of the twenty-two million Ghanaians in Ghana, and could be safely referred to as the emerging lingua franca of the country. Learning Twi would open you up to life-long friendship and untapped business opportunities beyond the borders of the country. Take advantage of this new Twi language class and enhance your life in 2011. This coming weekend (February 24-27), Dress for Success will hold its annual S.O.S. (Send One Suit) Weekend. You can donate a gently used women’s suit at any local dressbarn store. VegWorcester is holding their second-annual vegan mac-and-cheese cookoff this weekend. It’s February 26, 5:30pm, 126 Eastern Ave, in Worcester. 508 interviewed last year’s “Mac Daddy,” Greg Opperman. His winning recipe is online. It’s nothing like the macaroni-and-cheese I grew up with, but at least when cooked by him, it’s damn good. 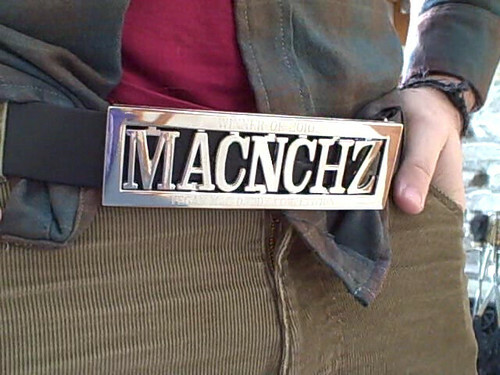 Photo: Greg Opperman rocks the championship belt. Creative Commons Attribution photo by Mike Benedetti.